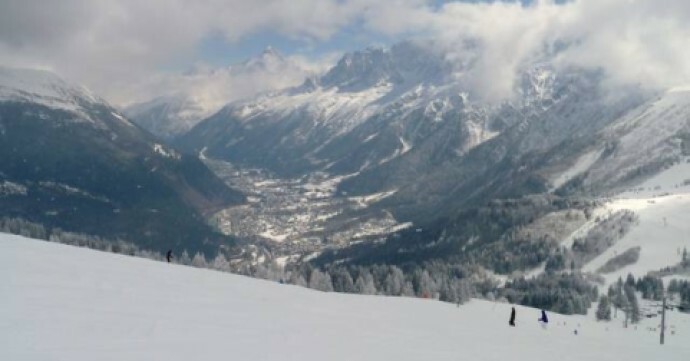 A resort often favoured by beginner skiers and families, Prarion offers 55km of mixed slopes situated against some of the most stunning scenery France has to offer. Located in Chamonix-Mont-Blanc, Prarion is a tranquil resort which capitalises on its traditional aesthetic and impressive ski facilities. 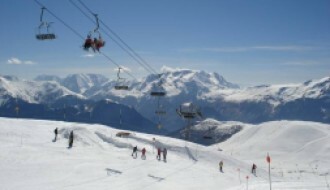 The resort is a beloved favourite for many skiers and is part of the Les Houches/Saint-Gervais – Prarion/Bellevue ski region. This means transport between the different locations is simple, and skiers can experience livelier après ski activities in neighbouring towns then return to the peaceful retreat that is Prarion. Attracting more than just skiers, Prarion is the resort of choice for many who enjoy walking and mountain biking. The Prarion cable car provides easy transport for individuals wishing to experience anything from light rambles to more strenuous hikes. Sightseers and photography fanatics will not be disappointed by the Prarion Plateau which offers stunning panoramic views of the surrounding mountain ranges. Views of the highest mountain in the Alps, Mont Blanc, can also be appreciated from Prarion. 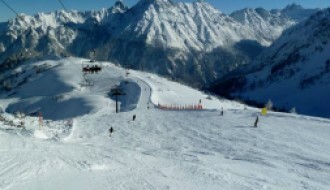 Prarion boasts 15 operational lifts which connect skiers with 55km of slopes. This resort is perhaps favoured by individuals who are not confident skiers or are just beginning to learn how to ski, but with its connections, ski levels aren’t limited. There are 25km of easy slopes, offering many wide open spaces for skiers to practice skiing and perfect technical skills before taking to more challenging slopes. Intermediate skiers can enjoy 25km of slopes, and the slopes are regularly maintained ensuring skiers can experience the best runs possible. 5km of the resort is dedicated to difficult slopes, ideal for confident skiers who wish to test their abilities. One of the most difficult runs in Kandahar, the famous La Verte des Houches, can be reached by the Prarion gondola. Not only a great winter destination, there are multiple activities available as the months get warmer - such as hiking, sightseeing and mountain biking. Taking the Prarion gondola then downhill mountain biking offers an exhilarating experience and a unique way to appreciate the surrounding scenery. There are also plenty of meadow and forest tracks in and around Prarion that are great for exploring and taking in the breath-taking surroundings. As you would expect from the gorgeous views and meadows in Prarion, the culture of Prarion is very relaxed and tranquil. Prarion is also home to a large alpine goat farm, which holds as one of the many visual reminders of the traditional and practical culture Prarion favours. Life in Prarion is certainly calmer and more pastoral when compared to nearby resorts – which often have a greater focus on après ski activities. As such, the resort remains a favourite for many families, or those looking at the long term when investing in ski properties. While Prarion is popular due to its simple and traditional style, that is not to say the resort hasn’t seen upgrades. In 2017 Chamonix released a new electric bus service with the first bus revealed outside the Prarion ski lift. This electric bus service not only reduces the environmental impact of the ski resort but makes travelling to and around Prarion much easier and more efficient. Due to Prarion's close proximity to other ski resorts, investing in the area or buying a property in Prarion is always appealing. 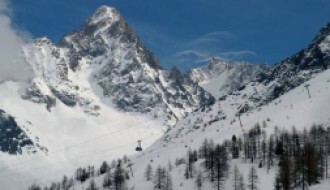 With Chamonix having a permanent population of roughly 8,997, property in Prarion is always in demand due to its year-round appeal and accessible location. The nearest airport is Geneva airport, and it lies only 1 hour 19 minutes away from the ski resort. As such, regular bus, taxi and coach services make travel between the airport and the resort simple. There are also multiple opportunities to explore the surrounding area by either car or by skiing and snowboarding itself. The weather in Prarion is usually reliable and pleasant though the temperature on the mountain is usually significantly colder than the temperature of the base. Individuals visiting during the winter season are advised to bring appropriate clothing and sun protection. For Prarion, the average summit depth of snowfall is 45cm a year, though you can keep up-to-date with regular snow and weather report updates on our Prarion resort guide.